On this page you will find different resources that can be useful when you are going to write a paper, report or thesis. What you find here is not a complete list of resources but examples of different types of useful resources. In other words, there are many more resources available than can be mentioned here, so do look for more on your own. The scientific/scholarly article-format of writing. A short introduction on to how to evaluate sources. Helpful information about copyright and how to avoid plagiarism. And a large section on referencing and citing, including links to tutorials and short instructional videos on how ro use reference management tools such as EndNote. Merriam-Webster dictionary via Encyclopedia Britannica (for UmU-students). Nationalencyklopedien (for UmU students) and ord.se (free online) from Norstedts both have English – Swedish / Swedish – English dictionaries. The Swedish Academy has a web page Svenska Akademiens Ordböcker where you can access three different dictionaries: SAOL (a concise dictionary with 126 000 words), SO (a dictionary with full descriptions of 65 000 words) and SAOB (historical dictionary comprising information about 500 000 words). This web site is at the moment only in Swedish. The full list of reference works, that you, as a student, can use. Here you will find both general and subject specific encyclopedias, e.g. Encyclopædia Britannica, Gale Virtual Reference Library, Medical dictionaries and more – such as Scholarships / GlobalGrant. There are several possibilities for collaborating on, and sharing documents. On the Student web pages you find tips on suitable online tools for sharing, storing and editing documents. In Office 365 and GoogleApps there are several useful tools. 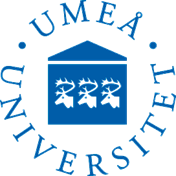 As a student at Umeå University you have access to software that are aids for those who needs support with reading or writing. See the Portal and use the link in the Sign in-box to access. Four short films on study skills by Björn Liljeqvist. Use the Playlist to see the content. If you are a student at Umeå University you can come to The Academic Resource Centre to get help with, for exemple, your writing skills. Academic Support Walk-in Service on most thursdays between 2 and 4 o’clock, during Fall and Spring semester. Writing coaches and Reference librarians are available to answer your questions. See also ARC for more information and useful resources. See also Umeå UB’s web pages on Writing References in this guide. Here, in the Writing guide, there is also a section on reference management tools. Keep in mind that you cannot fully trust the result from an automatic translation service! Therefore, always check the translations carefully before you use them in your text. On the web there are many different translation services, for example Microsoft translator or Google Translate.